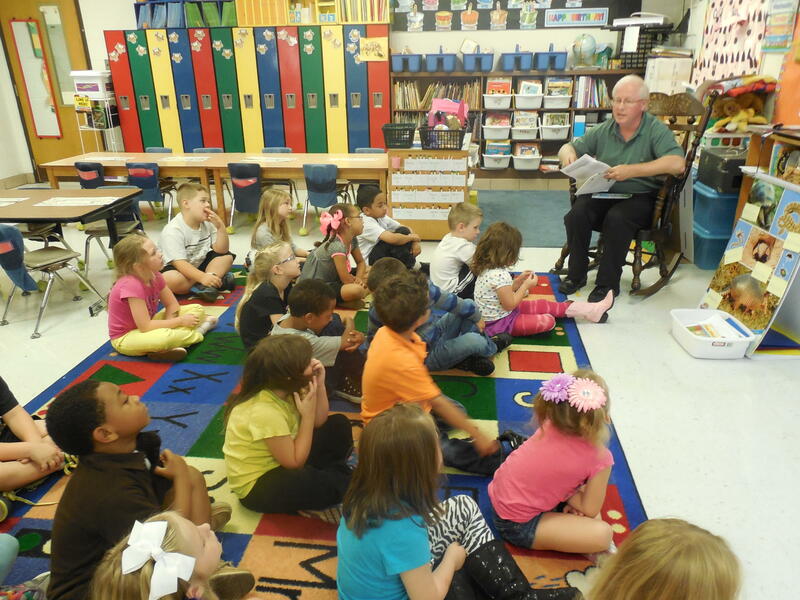 Director of Radio-Interim Bob Powell reads to a kindergarten class at Point Harmony Elementary School. 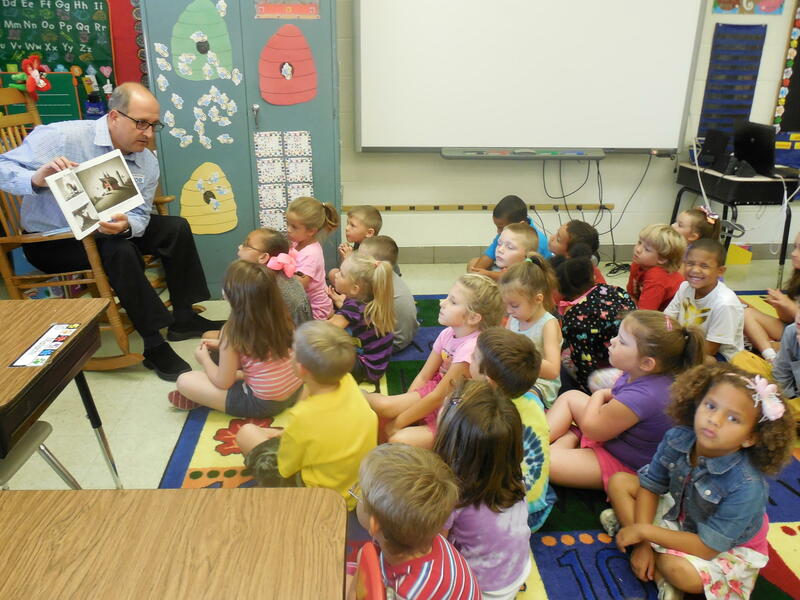 Steve Chapman reads to a kindergarten class at Point Harmony Elementary School. 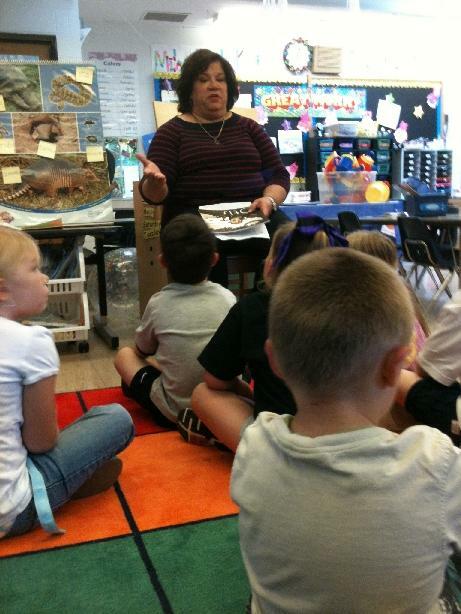 Statehouse Reporter Ashton Marra reads to a kindergarten class at Point Harmony Elementary School. 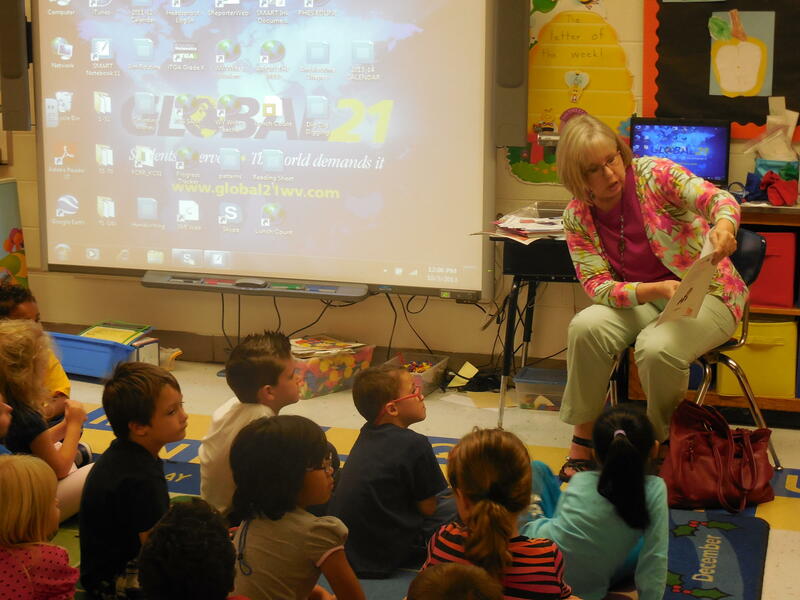 Director of Underwriting Jane Siers Wright reads to a kindergarten class at Point Harmony Elementary School. 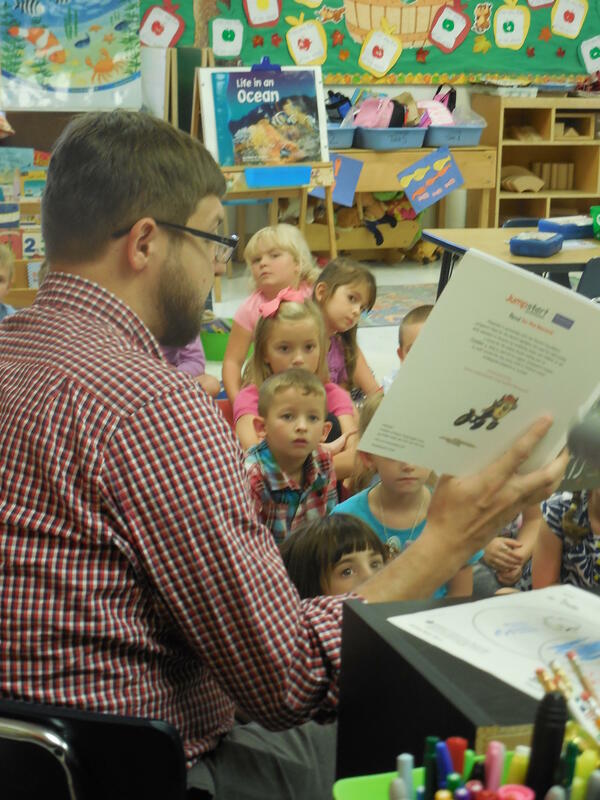 Dave Mistich reads to a classroom at Point Harmony Elementary School. 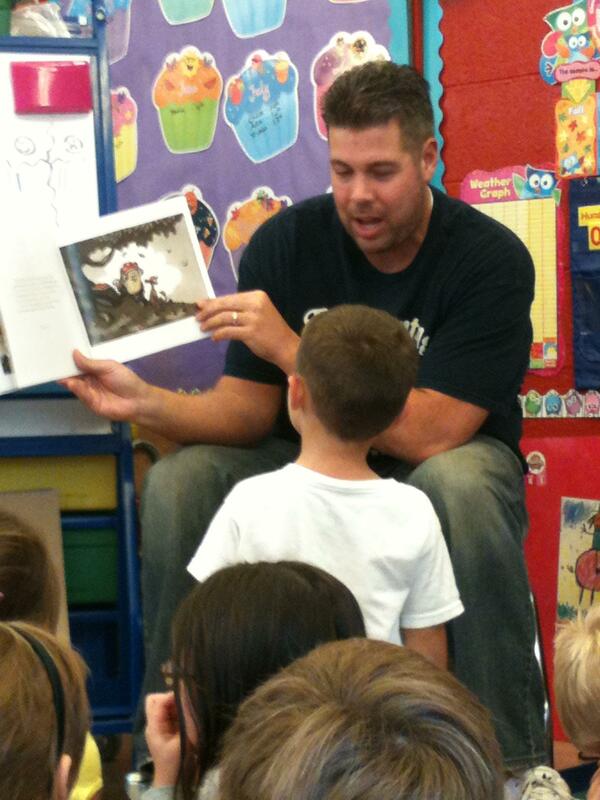 Director of Television Production Chuck Roberts reads to a classroom at Mary Ingles Elementary School. 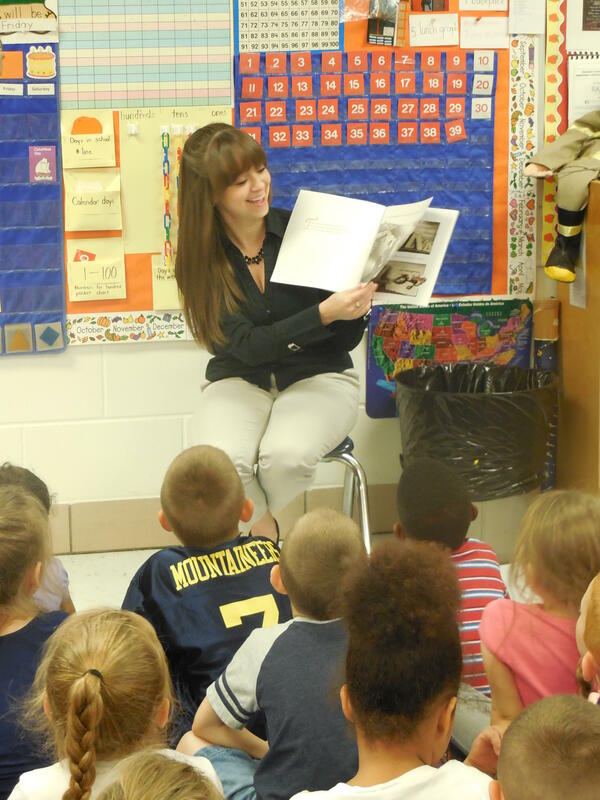 Director of Development Marilyn DiVita reads to students at Mary Ingles Elementary as part of the Read for the Record initiative. 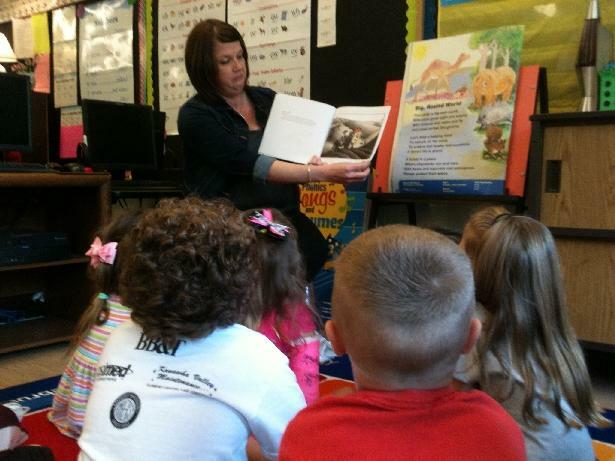 Emily Gardner reads to students at Mary Ingles Elementary School for the Read for the Record initiative. 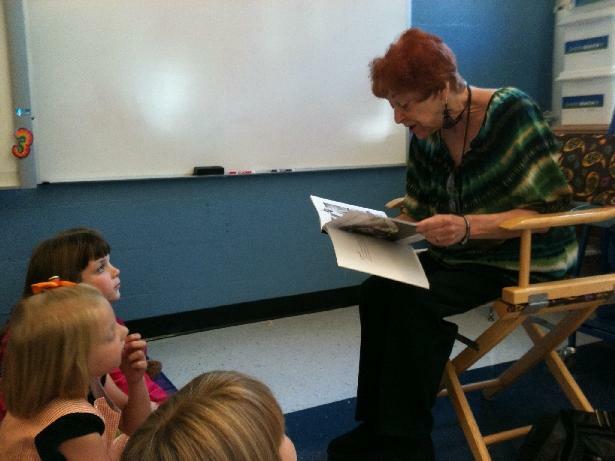 Carole Carter reads to a classroom at Mary Ingles Elementary School. West Virginia Public Broadcasting's Beckley staff members (right to left) Eddie Isom, Tammy Treadway (holding 'Otis' by Loren Long), Jane Smith, Chris Oxley. 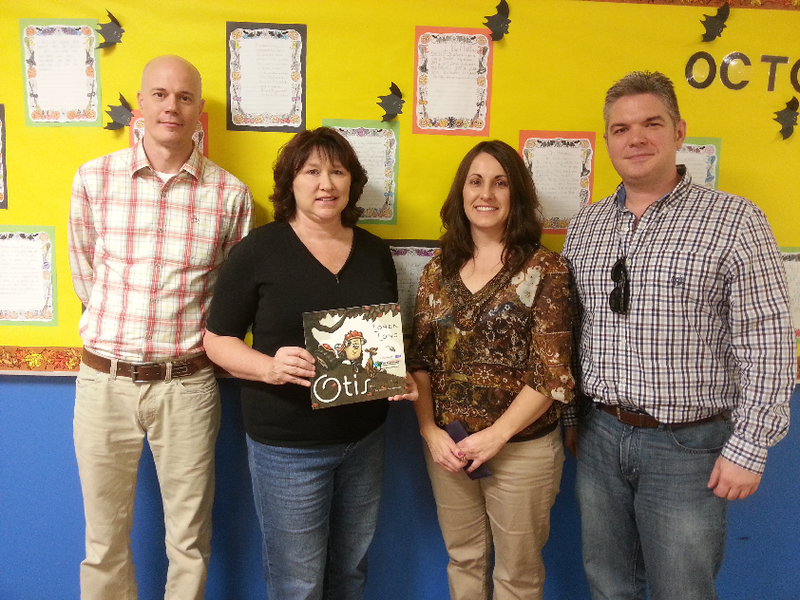 This group read to students at Stanaford Elementary School in Raleigh County. 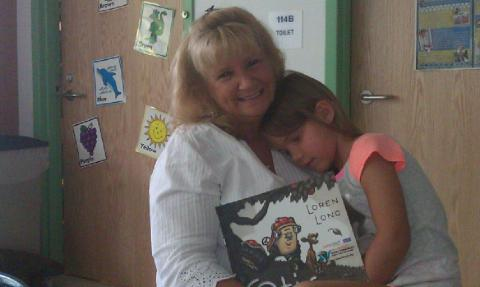 Debbie Oleksa of West Virginia Public Broadcasting's Ready to Learn program read to children at Eastwood Elementary in Morgantown. 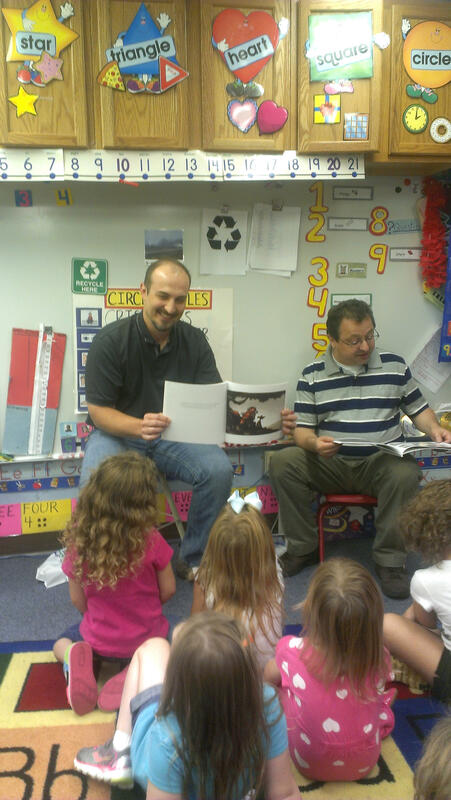 Chad Matlick (Digital Director) and Bill Blaker (Production Manager) take turns reading and sharing the pictures with the class at Suncrest Primary School in Morgantown. 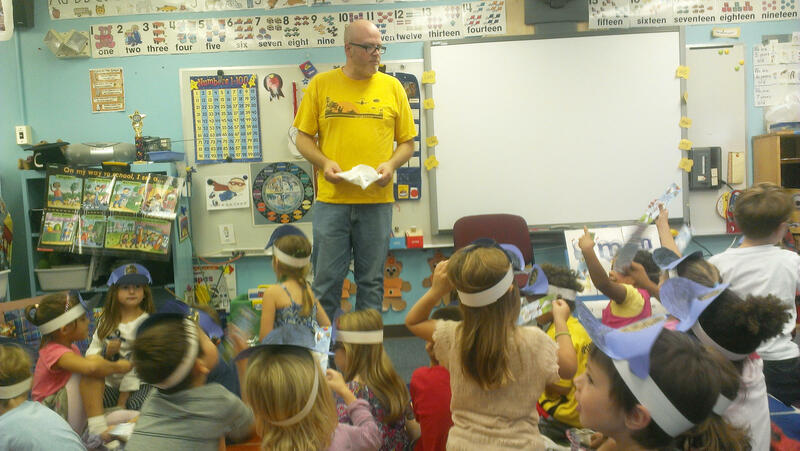 Chuck Rosenecker (Graphic Artist) reads to a class at Suncrest Primary School in Morgantown.